I had the privilege of being invited to Jungle Scout’s Million Dollar Case Study with Greg Mercer to share sourcing best practices on how I would source their product. Here’s the replay in case you missed it. 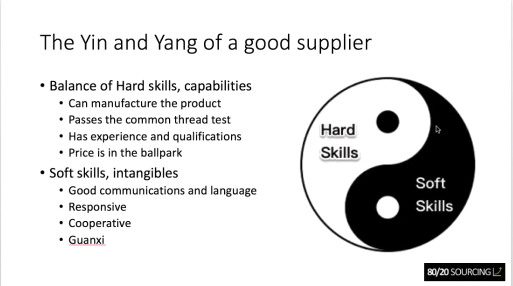 We covered a ton of high value material on what to look for in a good supplier (and how to avoid the bad ones), how to use Alibaba, and how to negotiate pricing and payment terms. I’m curious – what’s the #1 pain point you’re facing with sourcing right now? I’d like to help. [09:44] What would a supplier look for in a buyer? [18:35] How to evaluate suppliers and responses… 80/20 rule! [20:00] Where do I find suppliers? [46:00] What are the top things Gary looks for in a supplier on Alibaba? Next Next post: Trump’s first meeting with Chinese President Xi Jinping… is the trade war truly over and what does it mean for your Amazon business?